The quick actions from air traffic controllers at JFK Airport helped prevent a disaster on the runway. A Delta plane was rolling down Runway 13 right when another jet, a Volaris flight, mistakenly lined up on the same runway. The Volaris flight was supposed to land on a parallel runway, Runway 13 left. "Brickyard 4231 cancel take off plans," an air traffic controller is heard saying on the radio. "Brickyard cancel take off plans." The crew on the Delta flight stopped their takeoff and taxied off the runway as air traffic controllers ordered the Volaris flight to go around. "You’re lined up on the wrong runway," another air traffic controller is heard saying. "Volaris 880 go around, turn left heading 100." The plane, which was arriving in New York City from Mexico, went around and landed safely on the correct runway. It's not clear how close the planes were to each other. No injuries were reported. 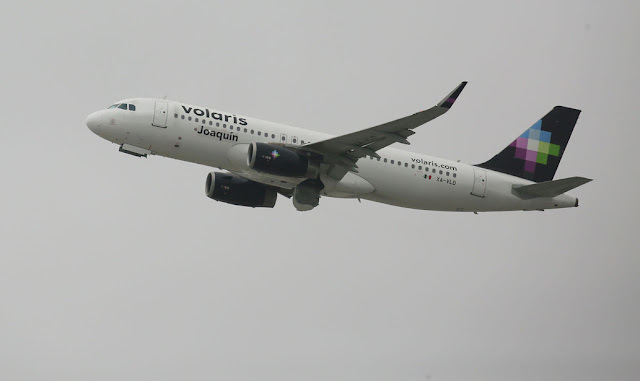 Volaris released a statement Tuesday night saying the airplane landed safely without any incidents. Just last week two planes had clipped wings with each other at JFK. The Volaris plane made a left turn and veered across the airport before landing, Van Cleave reported. Volaris has not responded to an inquiry from CBS News. The Federal Aviation Administration said it is aware of the incident and said controllers issued a go-around. The National Transportation Safety Board is investigating a similar incident from this summer at San Francisco International Airport, where an Air Canada flight nearly landed on a crowded taxiway, Van Cleave pointed out. In October at SFO, another Air Canada flight did not respond to repeated air traffic control calls telling it to go around, as another plane was still on the runway it was attempting to land on.